50 Cent rose to fame with his record-shattering debut album, Get Rich or Die Tryin’ and has since sold more than 30 million albums worldwide and been awarded numerous prestigious accolades. He created one of the most influential deals in hip-hop with the sale of Vitaminwater and has been running both G-Unit Film & Television, Inc., and G-Unit Records. Additional credits include the variety show 50 Central on BET and two dramas, The Oath, (WT) and RPM (WT) for Sony Pictures Television Networks and Crackle. Jackson’s successful film career has included roles in several blockbusters, most recently filming the upcoming Den of Thieves where he will co-star opposite Gerard Butler slated for release in 2018. 50 Cent continues to extend his brand, which encompasses a broad spectrum of businesses including: footwear and apparel, fragrance, video games, publishing, headphones, Vodka, health drinks and supplements. 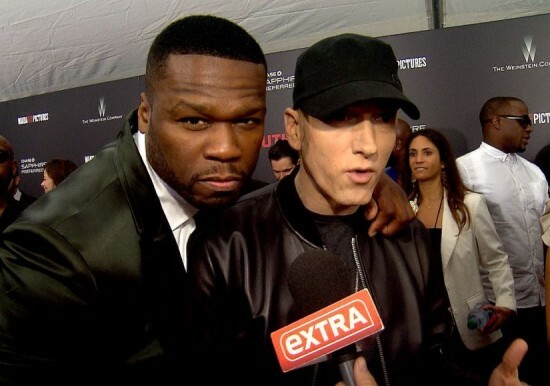 50 Cent: Em has had a huge influence on my career. It probably wouldn’t have went the way it went without him. He enabled a creative focus for me when I first came. He was selling 23 million records on Marshall Mathers LP when he decided that I was going to be the next big thing. When he brought my music to Dre, Dre listened to it and he was like ‘I’m with it, let’s do it’. Everyone hears what you are saying when you are selling that many records. He was at a peak point of his career pointing me out saying ‘him, he’s the next thing’. Then it gave me the attention from a major record label, it allowed me to have the right platform at just the right time. It allowed me the freedom to do as well as I did. There were so many things stacked against the project working and then when that happened it turned all the way around. Em (Eminem)…. he is special.